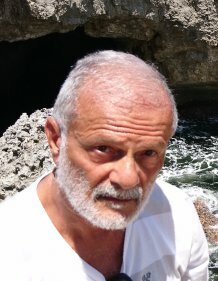 My name is Massimo Ferri, and I am a full professor of Geometry at the Engineering Faculty of the Bologna University. I am a member of the Department of Mathematics, of the Research Center for Mathematical Applications and of the Advanced Research Center for Electronic Systems "E. De Castro". I list my scientific and teaching activities, and also my other academic duties. You can also have a look at a complete CV of mine and at some personal notes. Office: Dip. di Matematica, Piazza di Porta S. Donato 5, I-40126 BOLOGNA Italy. Currently, all my scientific activity is devoted to our little research group in Vision Mathematics, which I warmly invite you to visit. In particular, I worked at the VIDET project, to which I had given the starting idea. I've started my research in the topology of manifolds; in more recent years I've drifted towards applications of geometry and topology to some aspects of robotics, in particular computer vision. My bibliographic references are available on line. Much of our research activity also goes through the theses we assign. My Masters are Mario Pezzana and Luigi Cavalieri D'Oro, who have taught me all that I know, and also a lot of other things I've never been able to learn. I used to share drinks, studies, research, journeys, articles with Carlo Gagliardi, now at Modena University, for a long time. Colin Rourke was very important during my year at Warwick University. I dreamed of - never found - invariants together with Sóstenes Lins (at UFPE, Recife, BR) and Louis Kauffman (of the U. of Illinois at Chicago). I am proud to have had a number of Ph. D. students, among which there are two wonderful colleagues: Patrizio Frosini and Michele Mulazzani. I have been a member of the Scientific Committee of the Italian Mathematical Union for some periods. From May 2003 to May 2009 I have been the coordinator of its Committee for Research and Teaching of Mathematics in the Engineering Faculties. For the period 2005-2009 I have been a member of the scientific committee of the Inter-University Centre for the access to Engineering and Architecture Schools and I have been the coordinator of its Thematic Group "Mathematics" from 2006 to 2009. (Pages prepared with Hypertext Master 2).